We’re pleased to announce the publication of the very first edition of an annual anthology showcasing some of the innovative and outstanding work produced by undergraduate dissertation students in Sociology at the University of Westminster. The aim of this anthology is to reward good dissertations, to provide examples of quality work for future dissertation students, and to promote more widely the achievements of our students in Sociology at Westminster. This year’s anthology comprises the work of Sharifa Elamin, who writes about young ethnic minority women and neoliberal culture, Yusuf Pandor, who explores the theme of meritocracy and the educational system, and Rumena Akhtar, whose work investigates the challenges faced by Bangladeshi heritage patients in accessing healthcare services. All three dissertations have qualities that make them distinctive of the kind of work our students produce in Sociology at Westminster: they are theoretically and historically informed, they are motivated by a keen desire to engage and challenge social inequalities, and they are attuned to understanding the frequently complex and intersecting nature of those inequalities. 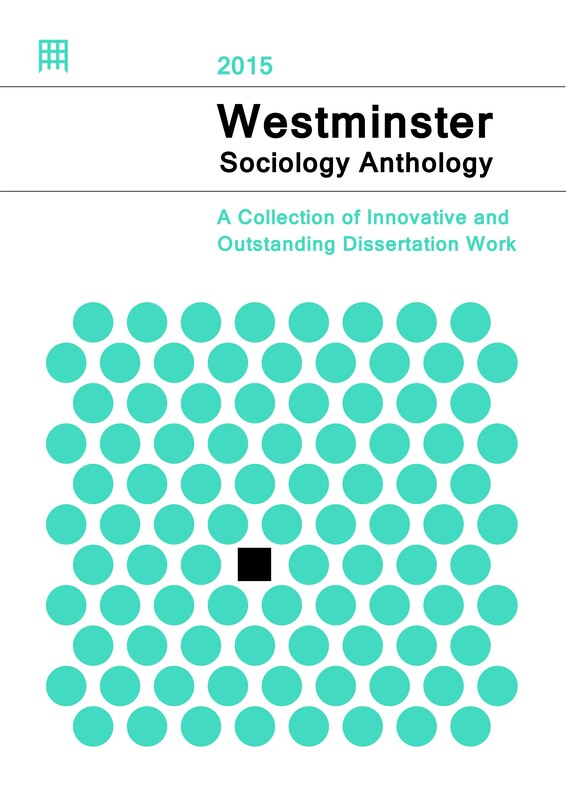 Click here to download the Westminster Sociology Anthology 2015 (pdf). This entry was posted in Uncategorized and tagged dissertation, sociology anthology. Bookmark the permalink.